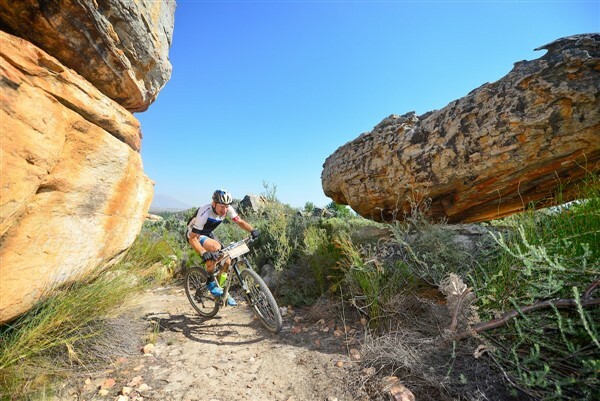 Ancient rock formations of the Kouebokkeveld region create an interesting landscape for competitors at the Momentum Health Tankwa Trek, presented by Biogen, South Africa’s most prestigious three-day mountain bike stage race, which takes place from 10-12 February. Here, 2016 winner, Urs Huber, negotiates his way through Stage 1 singletrack. Germany’s Karl Platt and his Swiss teammate, Urs Huber, are motivated to defend their title at next week’s Momentum Health Tankwa Trek, presented by Biogen, but will be up against stronger opposition than last year at the world’s most prestigious three-day mountain bike stage race. 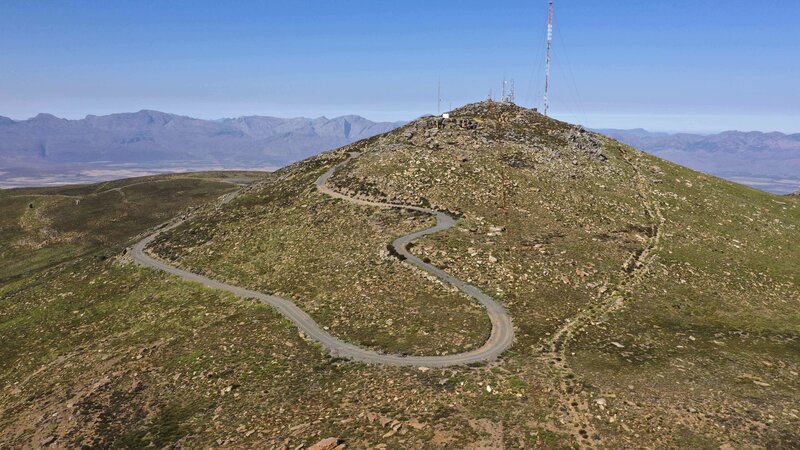 Now an International Cycling Union (UCI)-graded event, the fifth edition of the Tankwa Trek has drawn some of the world’s biggest mountain bike racing stars, many of them using the race as a preparation event ahead of next month’s Absa Cape Epic. Platt and Huber are also the defending Cape Epic champions and Tankwa Trek will be their first race together since the TransAlp, last July. 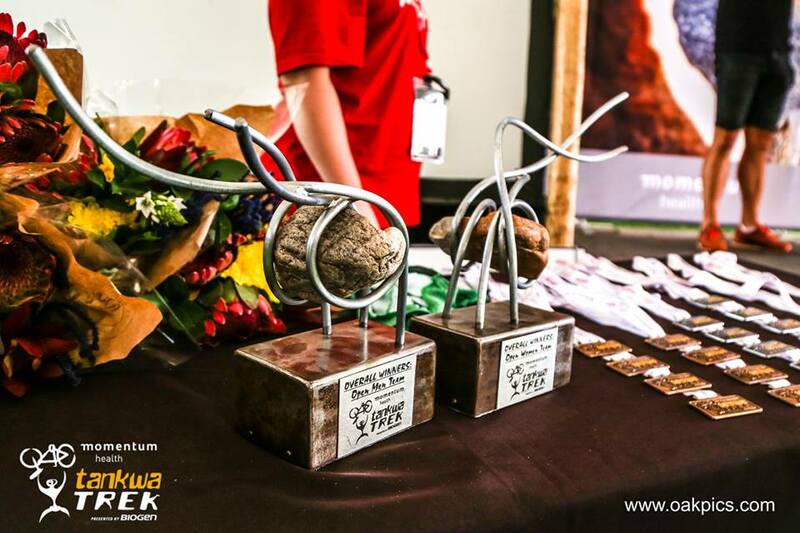 The well-drilled pair will also be joined by their Bulls stablemates, Tim Boehme and Simon Stiebjahn at Tankwa Trek, which offers three days of challenging routes through the Kouebokkeveld region of the Western Cape province. “Tankwa Trek will be a mini-Cape Epic for us. We are taking it really seriously, not just the riders, but the whole support crew too. We have new bikes since last year, but otherwise everything else is the same, including our motivation,” said Platt. 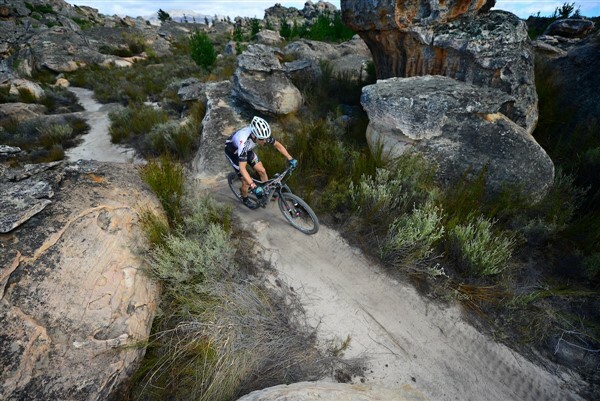 “The terrain and the gradients at the Tankwa Trek are similar to the Cape Epic. I have some good form as I saw at the Attakwas and Urs has been doing his huge training block as normal in Grand Canaria. It’s always exciting when we race together again after a long break and we are keen to hold onto our titles – Tankwa Trek and Cape Epic,” smiled Platt. 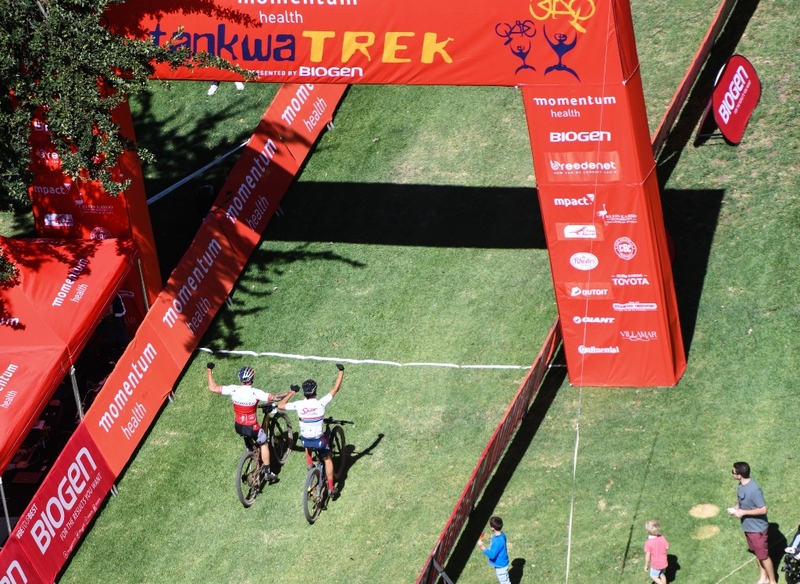 A strong international field will contest the Momentum Health Tankwa Trek, presented by Biogen. The pressure on the Bulls will be high though. They’ll be facing more depth in opposition than at last year’s Tankwa Trek, led by last year’s runners-up, Switzerland’s Christoph Sauser and New Zealand’s Sam Gaze racing as Investec-Songo-Specialized. With wins at both his 2017 races so far, Sauser is clearly back to peak form, while Gaze, the Under-23 XCO world champion, will be a year wiser and stronger and as hungry as Sauser for a Tankwa Trek victory. Christoph Sauser, runner-up in 2016, will be back with his New Zealand teammate, Sam Gaze, to challenge for the overall title at the Momentum Health Tankwa Trek, presented by Biogen. Topeak-Ergon will be fielding both their teams, the first comprising 2015 Marathon World Champion, Alban Lakata of Austria and 2014 Cape Epic winner, Kristian Hynek of the Czech Republic and the second made up of South Africa’s Erik Kleinhans and American Jeremiah Bishop. It’s no secret that their primary goal for 2017 is to win the Cape Epic and they’ll be using the Tankwa Trek as a key part of the their preparation. Quite possibly the dark-horse team is the Goldwurst Power BMC duo of Lukas Flückiger and Nicola Rohrbach. Flückiger won the 2016 Swiss Epic and is currently ranked 19th in the world, while Rohrbach won last month’s Snow Bike Festival and finished second overall at last year’s Cape Epic. Leading the South African challenge are Team NAD’s Nico Bell and Gawie Combrinck. They were fourth last year at their first attempt and will know what to expect this time around as they challenge for the podium. Another strong South African team is the Telkom BCX pair of Waylon Woolcock and HB Kruger. Woolcock was third overall last year (with Darren Lill), while Kruger was fifth at the recent Attakwas, confirming his good form and showing Woolcock that he’s sure to be a very capable teammate. Also expected to feature at the front of the race is the South African/Swiss pairing of Matt Beers and Konny Looser (Red-E Ryder). Last year’s women’s winners, Jennie Stenerhag (front) and Robyn de Groot, will be back, but in different teams and categories at the Momentum Health Tankwa Trek, presented by Biogen. The women’s division is packed with strong teams, all in pursuit of the generous prize money, UCI rankings points and Cape Epic preparation. Former Tankwa Trek winner, Ariane Lüthi, the Swiss marathon champion, will be using the race to get to know her new Cape Epic teammate, Germany’s Adelheid Morath. Racing as Team Spur, they will be wary of the Team Meerendal/CBC pairing of Switzerland’s Esther Süss and Sweden’s Jennie Stenerhag. 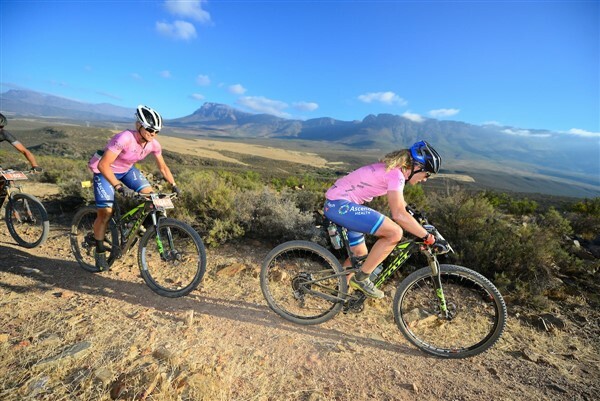 Youngsters, Candice Lill and Vera Adrian, racing as Team dormakaba will also be daily and overall podium contenders as they set their sights on tackling their first Cape Epic next month. Other strong combinations are the OMX Pro/Ultimate Cycling pair of Mariske Strauss and Yolande de Villiers and the Garmin/Galileo Risk team of Yolandi du Toit and Theresa Ralph. There is certain to be strong interest in the mixed category with a number of strong combinations. South African marathon champion Robyn de Groot will be pairing up with her Ascendis Health stablemate, Gert Heyns for what should be a formidable partnership. Mounting what should be a strong podium challenge are the Valencia pair of Grant Usher and Amy Beth McDougall, and the Velocity Sport Lab duo of Carmen Buchacher and Uwe Hochenwarter. “I’m pretty excited to be doing Tankwa Trek with Gert. Firstly, it’s awesome to do a race together as the new-look Team Ascendis Health. We don’t have Mixed racing as a priority for our season as I would like to support the women’s racing category as much as possible. With Tankwa Trek, however, we thought long and hard and decided it would be a great way to prep for the Cape Epic next month,” said De Groot. “I’m grateful that Gert is willing to help me with my Epic preparation. I can learn a lot from him for sure and have no doubt it will be worthwhile racing Tankwa Trek together,” added De Groot. Steep ascents and rugged mountain terrain are a prominent feature of the Momentum Health Tankwa Trek, presented by Biogen. The total cash purse for the 2017 Momentum Health Tankwa Trek, presented by Biogen is up by an impressive 60% and sits at R410 000, which includes R80 000 each for the winning men and women’s teams and R10 000 for the first men and women’s teams each to the summit of the Merino Monster on Day 2. The UCI Elite teams get daily prize money up to fifth place and up to 10th place overall, while there also is daily podium recognition for Veteran (40-49) and Masters (50-plus) categories both of which are expected to produce intense racing. “I rode the Tankwa Trek for the first time last year. It’s very tough race and I was really impressed with the women that competed. I felt it wasn’t right that they put in the same effort as the men but had less prize money, so I spoke to Dryland about us adding value to the women’s category,” said Heimar Anderson, Managing Director of Anderson Transport, which also does logistics support for Dryland Event Management. Because of Anderson Transport’s sponsorship, the Elite women’s prize money is equal to the men’s, paying down to fifth place on each stage and 10th in the final General Classification. “We also want to give recognition to the women that don’t race, but whose sons, brothers, fathers and husbands are given the support that allows us to do races like the Tankwa Trek. It’s really something that’s not often recognised, but should be,” added Anderson. 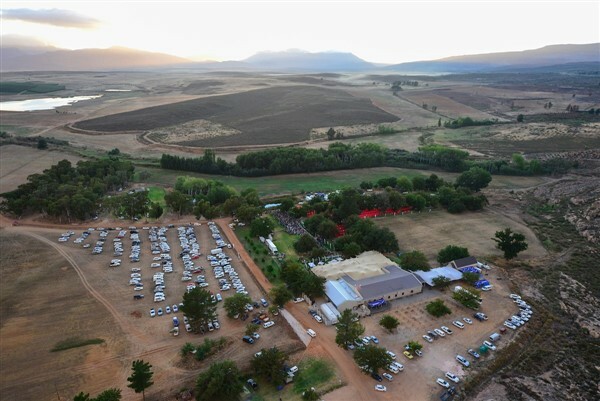 The Momentum Health Tankwa Trek, presented by Biogen, is based on the Kaleo Manor race village 25km north of Ceres. A new partner for the Tankwa Trek is Mpact, South Africa’s leading paper and plastics packaging group with a strong environmental awareness. Mpact is an appropriate brand partner for Dryland Event Management, which is committing to environmentally sound practices where ever possible in their events. “Ceres is a key fruit-producing area in South Africa, where top quality apples, pears, nectarines, plums, cherries and vegetables are grown. Most of this fruit is exported to a number of countries across the world. Mpact has been supplying a significant volume of cartons into the Ceres region for over 40 years and it is therefore important we support the Tankwa Trek. 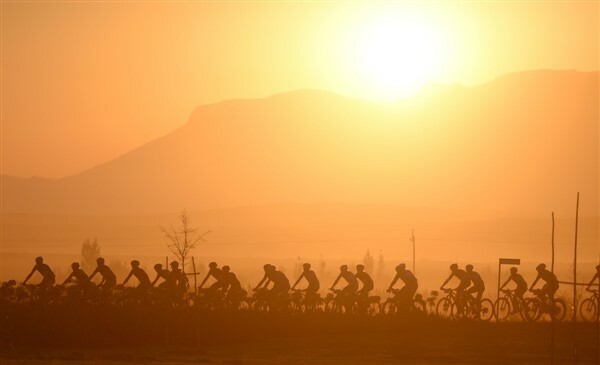 The 700 riders partaking in this year’s Tankwa Trek will also be riding on most of our customers’ beautiful farms as the route traverses through this unique and beautiful area,” said Johan Stumpf, Managing Director Mpact Corrugated. The race will be ‘live-tweeted’ from @TankwaTrek account and there will be daily highlights on SuperSport 8 at 20h00. For more information, on who to follow during the 2017 Momentum Health Tankwa Trek, presented by Biogen click here.